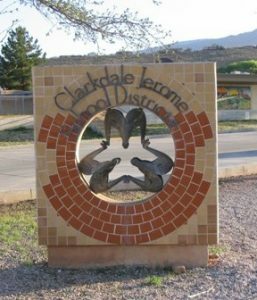 Danny Brown has been the Superintendent of Clarkdale-Jerome School District since 2017. Mr. Brown comes to our district with over 30 years experience in the field of education including 20 years as an educational leader. He has taught at the secondary level and been a leader at all levels (elementary, secondary and post-secondary). Throughout his career he has enjoyed working with diverse student populations that include students from various Native American communities . Mr. Brown states, "It has been a privilege to work with so many great educators, parents, and folks from the community. The support I have received not only from our governing board, but from everyone throughout the district, has been tremendous. Most importantly, the students at CJS are great!" Mr. Doerksen has been on the Clarkdale campus since Fall, 2015. His most recent position prior coming to the area was in Kodiak, Alaska where he held different leadership positions. From Mr. Doerksen, “I thoroughly enjoy working with the parents, students, and staff at Clarkdale-Jerome School. If there is one word that would describe my own personal goal with the students, it would be 'encourager.' I really want to encourage the students both academically and behaviorally. I want them to be successful, responsible, and happy. I have a wonderful family: a wife, five kids, and one granddaughter. Please stop by and say 'hi' sometime."